A comfortable well presented Slightly Smaller Double En Suite room with Shower (sink in the bedroom). 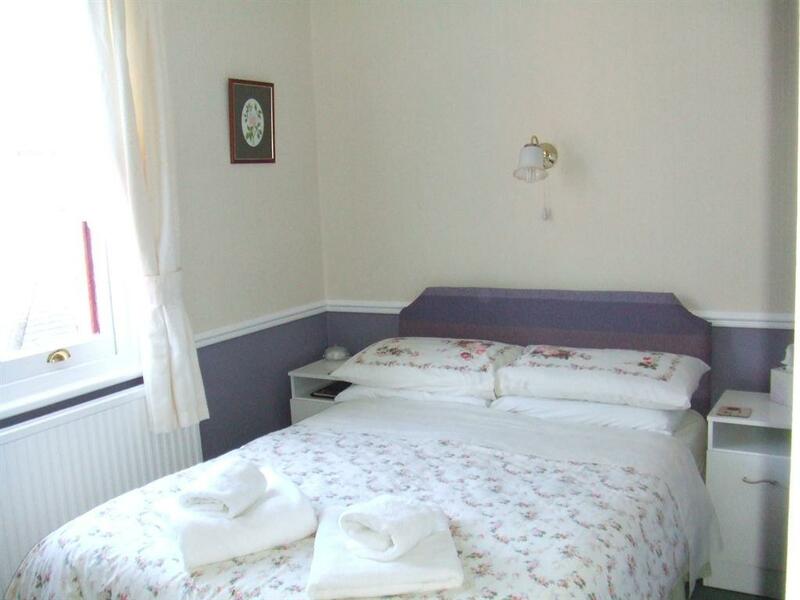 Equipped with, Tea / Coffee Making Facilities, Television, Hair dryer. All rooms are tastefully decorated and furnished to a good standard. Please contact us in advance of your stay with an indication of your time of arrival. Please Note: WE ARE UNABLE TO ACCOMMODATE CHILDREN UNDER THE AGE OF 7 YEARS (CHILD PRICES APPLY FROM 7 - 12 YEARS). 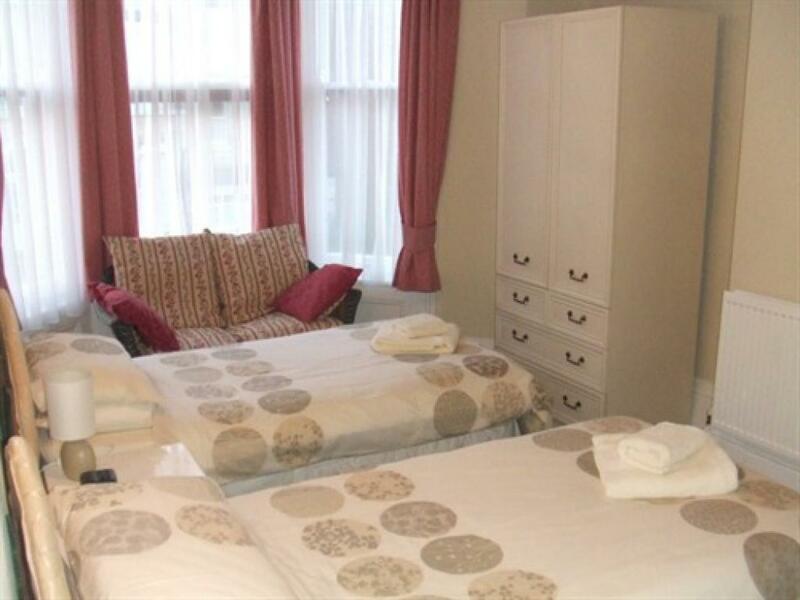 A comfortable well presented Double En Suite room with Shower. 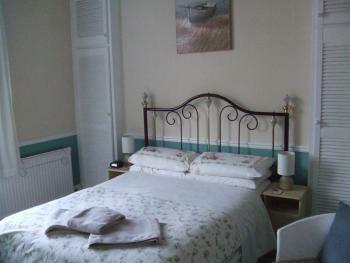 Equipped with, Tea / Coffee Making Facilities, Television, Hair dryer. 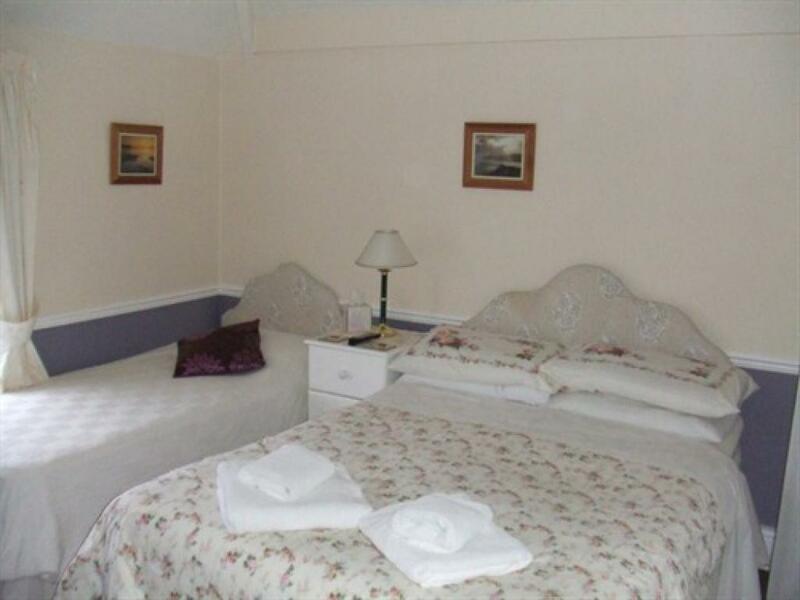 All rooms are tastefully decorated and furnished to a good standard. Please note that this room is accessed from outside the main building with two steps into the room. For breakfast guests will need to come into the main building and there are ten steps up to the front door. Please contact us in advance of your stay with an indication of your time of arrival. Please Note: WE ARE UNABLE TO ACCOMMODATE CHILDREN UNDER THE AGE OF 7 YEARS (CHILD PRICES APPLY FROM 7 - 12 YEARS). A comfortable well presented 2nd floor, Family En Suite room with Bath (Sink in the bedroom). Equipped with, Tea / Coffee Making Facilities, Television, Hair dryer. All rooms are tastefully decorated and furnished to a good standard. Located on our 2nd floor. Please contact us in advance of your stay with an indication of your time of arrival. Please Note: WE ARE UNABLE TO ACCOMMODATE CHILDREN UNDER THE AGE OF 7 YEARS (CHILD PRICES APPLY FROM 7 - 12 YEARS). 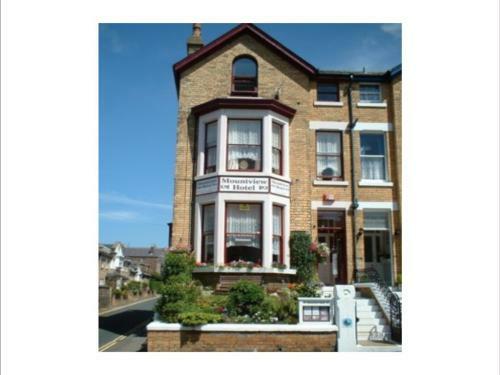 A spacious ground floor family room with En Suite Shower, Tea / Coffee Making Facilities,Television, Hair dryer. 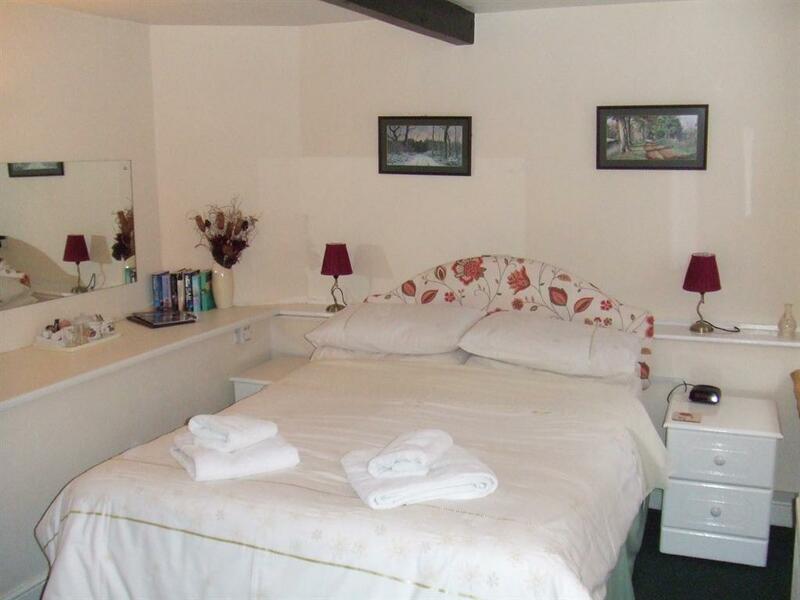 All rooms are tastefully decorated and furnished to a good standard. Please note that this room is accessed from outside the main building with two steps into the room. For breakfast guests will need to come into the main building and there are ten steps up to the front door. Please contact us in advance of your stay with an indication of your time of arrival. Please Note: WE ARE UNABLE TO ACCOMMODATE CHILDREN UNDER THE AGE OF 7 YEARS (CHILD PRICES APPLY FROM 7 - 12 YEARS). 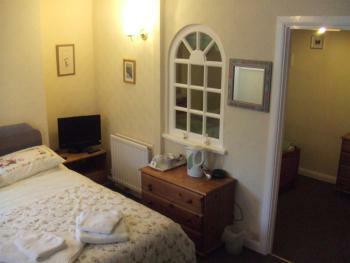 A well presented 2nd floor, Twin En Suite room with shower, Tea / Coffee Maker, Facilities, Television and Hair dryer. Please contact us in advance of your stay with an indication of your time of arrival. Please Note: WE ARE UNABLE TO ACCOMMODATE CHILDREN UNDER THE AGE OF 7 YEARS (CHILD PRICES APPLY FROM 7 - 12 YEARS). A well presented Twin En Suite room with shower, Tea / Coffee Maker, Facilities, Television and Hair dryer Please contact us in advance of your stay with an indication of your time of arrival. Please Note: WE ARE UNABLE TO ACCOMMODATE CHILDREN UNDER THE AGE OF 7 YEARS (CHILD PRICES APPLY FROM 7 - 12 YEARS). 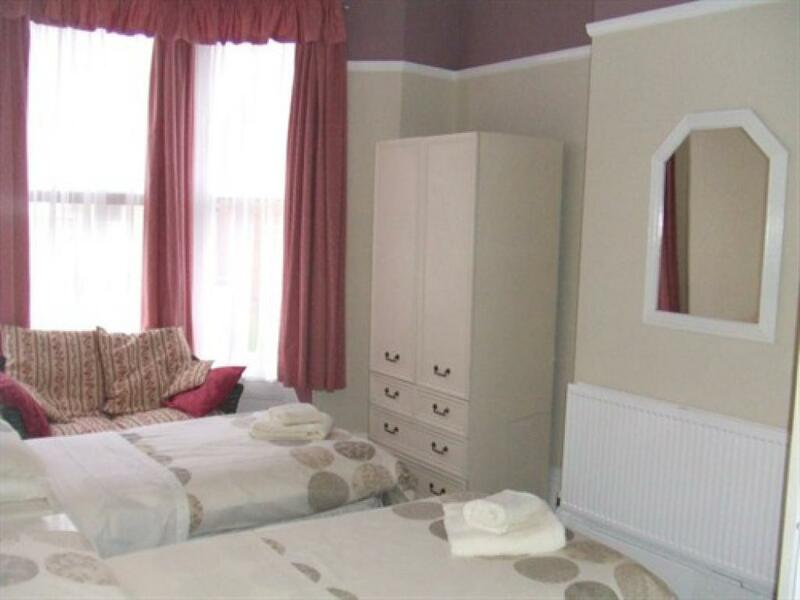 A comfortable well presented Double En Suite room with Shower (sink in the bedroom). Equipped with, Tea / Coffee Making Facilities, Television, Hair dryer. All rooms are tastefully decorated and furnished to a good standard. Please contact us in advance of your stay with an indication of your time of arrival. Please Note: WE ARE UNABLE TO ACCOMMODATE CHILDREN UNDER THE AGE OF 7 YEARS (CHILD PRICES APPLY FROM 7 - 12 YEARS). 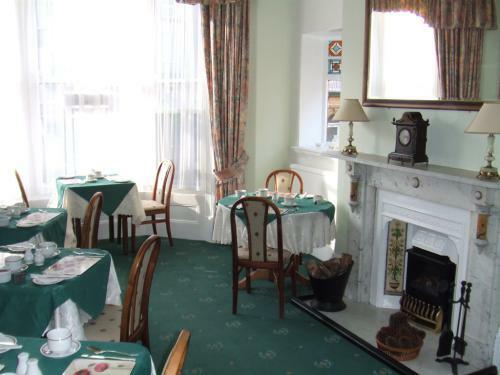 Enjoy a comfortable relaxing breakfast in our lovely sunny Victorian dining room. For breakfast, choose from our table of fruit, cereals and juices, followed by a full English breakfast, poached or scrambled eggs or continental breakfast. We are able to cater for diabetic, gluten free and vegetarians providing advance notice is given. 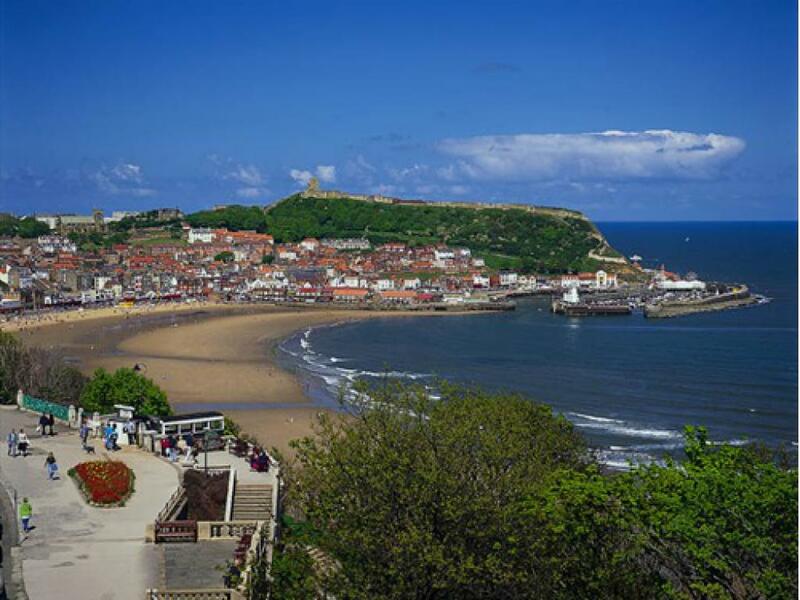 The Mountview’s excellent location means it is only a few minutes walk from the Esplanade, where you will enjoy one of the finest views on the east coast, whilst walking into the town centre. Alternatively take the cliff lift down to the Spa complex and beach or walk along one of the many paths leading through the Italian & Rose Gardens. 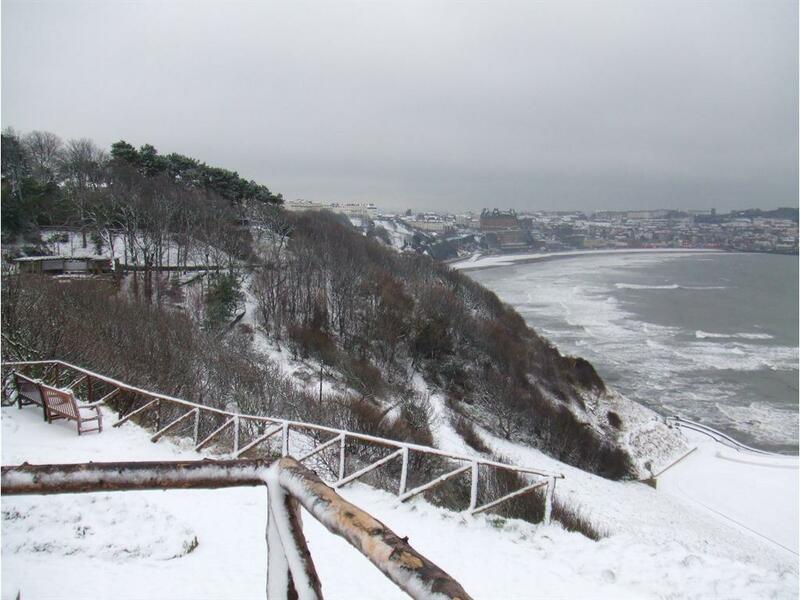 South Cliff Golf course, Oliver’s Mount, Scarborough University campus are a 10 – 15 minute walk away. The Mountview is easily accessible from the town's rail & coach station, and a regular bus service can drop you nearly outside the door. Tariff & Reservations: Bed & Breakfast from £32 per person per night. Two night minimum stay Check In Time 12:00 Noon -20.30 hours. ( Please note, guests are required to contact The Mountview the day Before arrival to arrange a convenient check in time) Departure Time10:00am Free wi-fi on request Children: We regret that we are unable to accommodate children under the age of 7 years. 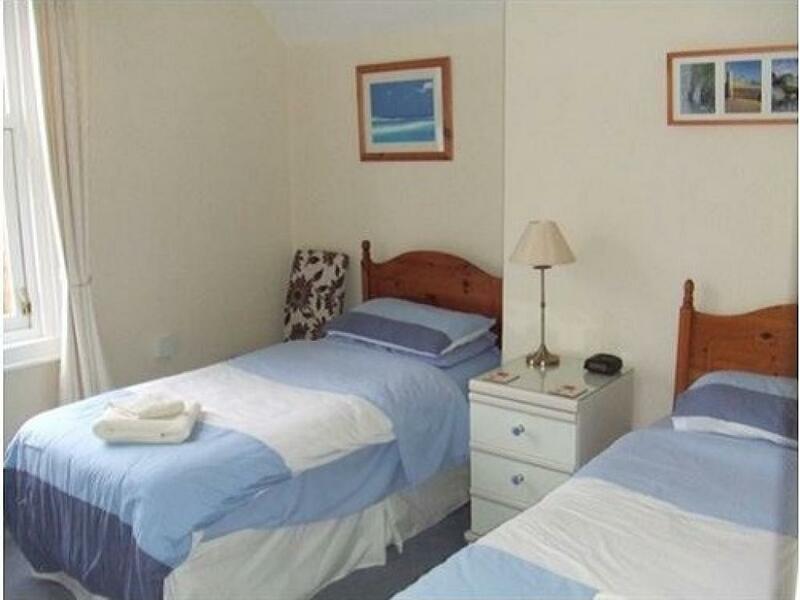 7 – 13 years £17 per night when sharing with two adults Children 14yrs and above will be charged adult price. Deposits A non refundable deposit of one nights stay is required when you confirm your reservation. Payment via debit card Cancellation Policy: Cancellation less than 8 days before arrival will incur a charge of 60% of the rest of the balance. In the event of cancellation with less than 7 days notice, or curtailment of your stay, then the full cost will be charged. For this reason we recommend you consider holiday cancellation insurance. MAIN ENTRANCE There are 9 steps with a minimum depth of 10 inches up to the front door. There is a hand rail on one side. GUEST ACCOMMODATION AND PUBLIC AREAS The guest lounge/ dining room is situated on the ground floor. The floor is carpeted throughout. BEDROOMS Guest rooms 9 & 10 are two ground floor rooms to the outside of The Mountview and are accessed via 2 steps of 11 inch depth. The entrance door width to rooms 9 & 10 is 68cm with another inner door width of 73cm for room 10. Neither of these two rooms are of a suitable width for wheelchairs. Both rooms 9 & 10 have a lip into the showers of 25cm. There are 17 steps of 10 inch depth to the 1st floor (3 bedrooms) and a further 18 steps, of the same depth to the second floor (2 bedrooms). There is a banister on one side of these stairs. A1 North to A64, follow signs for York. Continue on A64 to Scarborough for about 50 miles. Follow signs for town centre until you come to B&Q on your right. At the Traffic lights turn right into Queen Margaret’s Road. At the next set of Traffic lights turn right onto A165 Filey Road. Take the 2nd turn on the left into Granville Road. Drive to the bottom of the road, to T-junction with West Street, Mountview Hotel is in front of you on West Street.